I’ve already blown past my reading goal for the year on Goodreads1, so I thought it was time I started reading something that would offer a bit of a challenge. 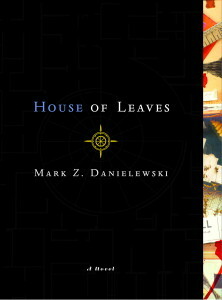 I’ve done this in years past with books like Anna Karenina, Middlemarch and The Count of Monte Cristo, but I was in the mood for something more modern this time around, so I picked up House of Leaves by Mark Z. Danielewski. Also, those books were only really a challenge because of their length and subjects. Even in paperback, House of Leaves is a massive tome. My backpack feels about twice as heavy when I bring it to work with me. I haven’t made much progress, but so far the book is relatively straightforward, consisting mostly of faux-academic articles with digressive footnotes that occasionally ramble on for pages at a time. I keep flipping to the later pages where the formatting starts getting really weird, and I wonder what happens between here and there. One thing that surprised me about the early chapters is that the most grounded part of the story is about a found-footage horror movie. It probably felt a bit more surprising and new back in the day. I’ve also joined a book club at The Hatchery, a shared writing space that I was a member of for a while this year. So far it isn’t anything like my long-time club back in Austin, which was equal parts book discussions and hanging out with friends. The discussions at The Hatchery’s club are far more academic, and the book selections have trended towards Important Literature2. The most recent book we read was A Portrait of The Artist as a Young Man, which I’d picked up once or twice but never actually tried to read. I managed to read it over the course of a week thanks to a cheap audiobook, but I didn’t really enjoy it much. Although I definitely respect the craft involved throughout, and I did enjoy a few scenes here and there, I was alternately frustrated with the stream-of-consciousness storytelling and bored by the excessive focus on religion3. My disappointment is perhaps a little ironic, because I’m sure that House of Leaves is only building on literary styles and techniques that Joyce pioneered. Maybe it’s just that Danielewski eases you into the experimental parts with a long introduction. By comparison, the first chapter of Portrait is oftentimes completely random and disassociated without much prelude. I’m definitely drawn to books with experimental narratives, so you’d think I’d be all in on a seminal work by one of the forefathers of literary experimentation, but it just didn’t work for me. 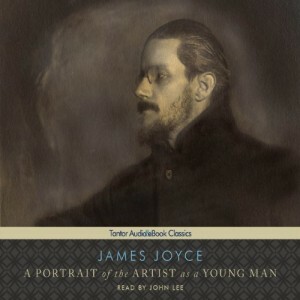 My best theory is that I’ve read too many books that build on Joyce’s techniques, so what seemed revolutionary at the beginning of the 20th century just felt dated today. Also, maybe I’m just not a fan of disjointed narratives about the religious doubts of Irish schoolboys? No matter what, I probably won’t pick up Ulysses any time soon. Instead, I think I’ll focus on getting to the weirder parts of House of Leaves.